 A reliable source for Metal Fabricators information and a resource for accessing leading Metal Fabricators and suppliers. Metal Fabrication Companies that process raw metal material into usable products are known as metal fabricators. The term metal fabrication is a unique and markedly unspecific one that, in this context, refers to the entire process of creating metal products using any number of metalworking processes. 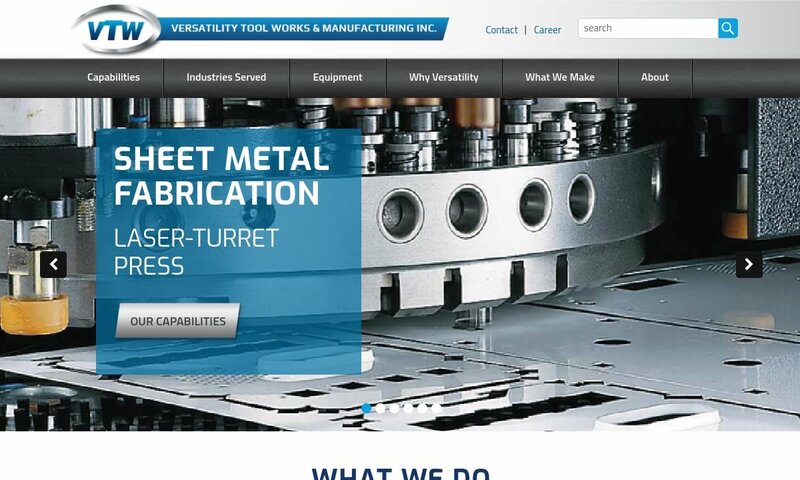 Versatility Tool Works located in Alsip, IL is a custom manufacturer of complex fabricated precision metal components and assemblies. Capabilities include design engineering, Qstep Quality System, lean manufacturing culture, prototyping, and more. 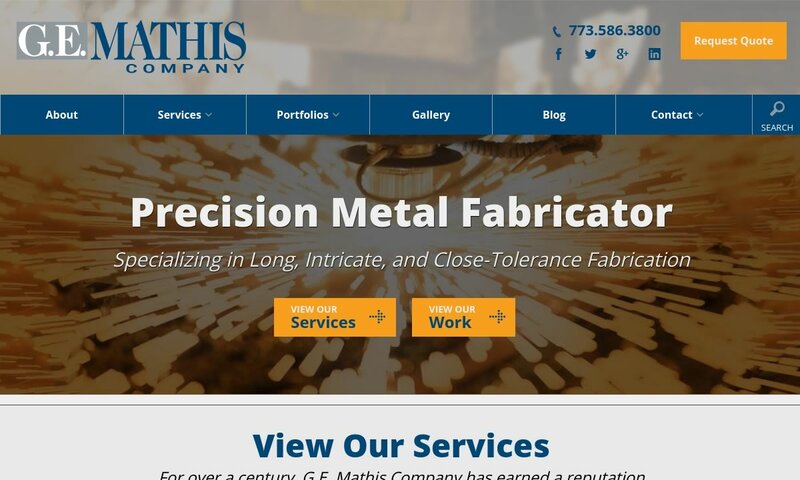 Looking for a custom metal fabrication company with over 3 decades of fabrication experience? 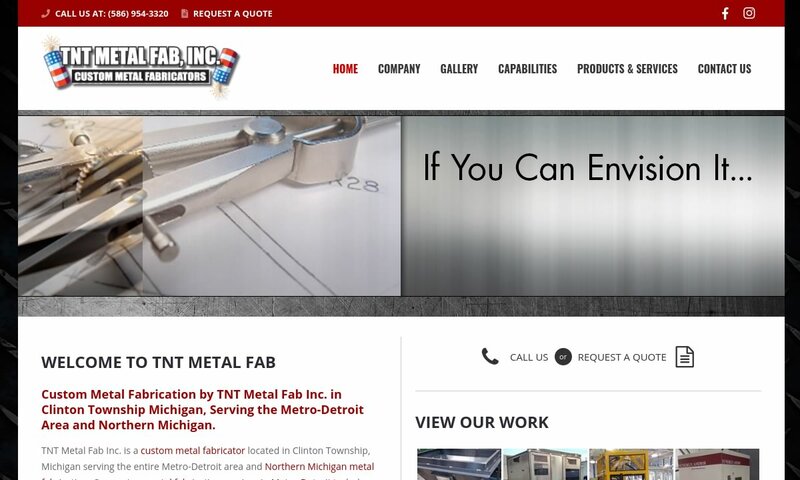 TNT Metal Fab fits the bill for all machining needs, along with aluminum fabricating, stainless steel fabricating, & galvanized metal fabrication. 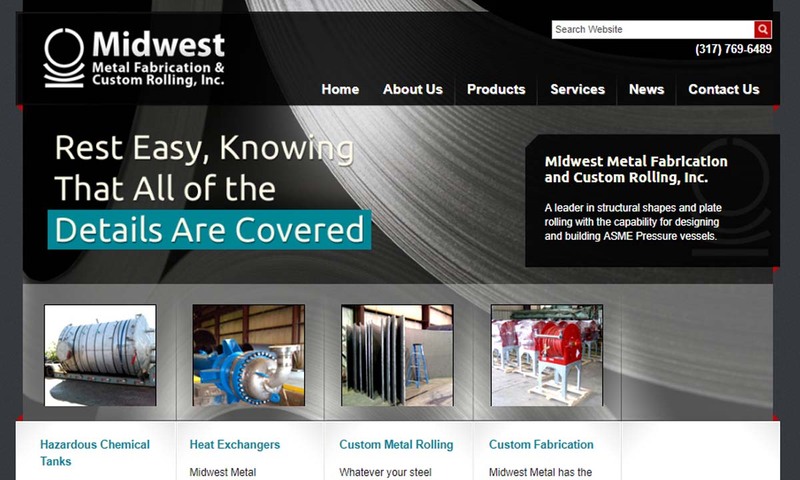 Midwest Metal Fabrication & Custom Rolling, Inc. Founded in 1989, Midwest Metal Fabrication & Custom Rolling has the technology and equipment to perform any type of metal fabrication, stainless steel fabrication or aluminum fabrication that you may require. Contact us today to get started! 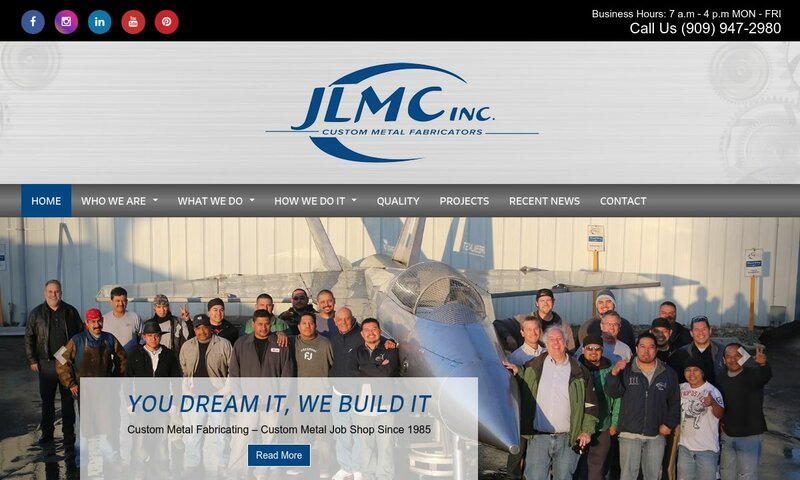 Since 1985, JLMC has specialized in custom metal fabrication, design and engineering, utilizing state of the art equipment. We manufacture hoppers, tanks, enclosures, cabinets, safety guards, prototypes & much more. We provide heavy metal fabrications, CNC punching and plasma cutting, forming, shearing, CNC laser cutting, welding, and much more. A few of the industries that we service are the marine, agricultural, construction, and electrical. Virtually any metal or metal alloy can be used to create a product or part of a product, but some candidates are more likely to be used than others. Steel, stainless steel, and aluminum comprise the leading materials for metal fabrication. Some of the other metals commonly used in fabrication processes include bronze, brass, copper, and titanium. Different metals are prized in metal fabrication for different reasons. For example, stainless steel is preferred for its lustrous appearance while galvanized steel (steel that is coated with zinc) is popular due to low costs. Like stainless steel, copper is also prized for its luster. On the other hand, aluminum is valued for its lightweight and rust-resistant properties. Fabricated metal products are almost never made from freshly mined, unprocessed metals. On the contrary, they are usually fabricated from metal materials that have already been processed in some fashion. The standard raw materials used by metal fabricators include sheet metal (otherwise known as plate metal when it reaches thickness of a quarter-inch), tube stock, welding wire or welding rod, formed and expanded metal, castings, and fittings. Similar to the way that different metals carry different fabrication advantages, different types of raw material forms are preferred for different purposes. If a metal fabricated piece is going to be produced via CNC machining, a solid bar or tube is often used. 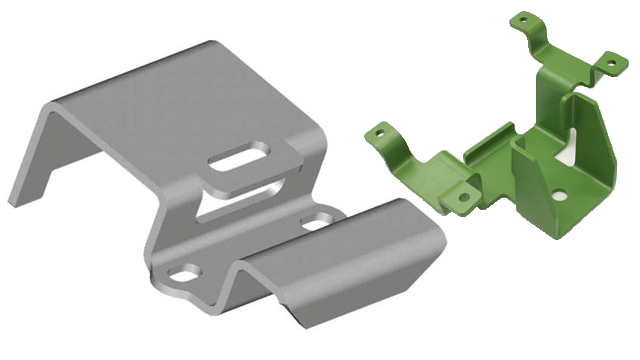 However, since precision sheet metal fabrication forms a large portion of the metal fabrication industry, the raw form of choice is often a flat or rectangular piece of sheet or plate metal. To make different products out of the different types of raw materials, metal fabricators depend on a wide variety of processes. Some of the major metalworking methods are outlined in more detail below. At risk of oversimplification, it should be noted that the vast majority of metal fabrication projects can be broken down into four broad categories: cutting, shaping (which often involves bending), assembling or joining (most often done by welding), and finishing. Cutting simply refers to the initial process that transforms raw metal into a workable size. It can be done manually or with automated tools (e.g. CNC machines or lasers). As alluded to previously, bars or tubes are often used in conjunction with CNC machines, which strip undesired material away. If regular sheet or sectional metal is being used, the cutting process usually assumes the form of a shear cutting operation. (In this immediate context, such cutting operations can be conceived of as “basic”, relatively low-precision cutting methods which contrast with non-shear operations). Forms of shear cutting include simple shearing (removing large parts of the stock with a large shearing machine blade), punching (knocking holes in the stock with a punch mechanism), and blanking (stripping perimeter away from the stock). Higher precision, non-shear forms of cutting rely on a variety of tools such as lasers, waterjets, and plasma cutters. Bending, in particular, is one of the most heavily used stamping processes. This category of shaping processes involves bending metal over an edge, or even hammering it, to make it assume a particular form. Two prominent sub-categories of bending are roll forming and press braking. Rolling forming is a continuous, high volume process that allows manufacturers to transform extruded, finished, and textured metals and bend them into highly useful products, such as trim and channels. Press braking, on the other hand, runs on a much lower production scale and uses a machine of the same name (i.e. a press brake). A press brake consists of a flat working surface with an indentation in the shape of the intended metal bend and a pressing tool. The pressing tool, suspended above the working surface, has an edge that fits exactly into the indentation so that, when a sheet of metal is placed in between it and said surface, the metal will be forced into the shaped indentation. Assembling or joining occurs when various metal pieces are fused together via a variety of methods to create a basic product. To prepare for assembly, different metal pieces are “fit up”, or held in place with various clamps and assembling fixtures. Metal fabricators may perform assembly tasks via the use of adhesives, threaded fasteners, riveting, and brazing. However, the most prominent assembly method is welding, since it provides the strongest bond between different pieces. Welding is a general assembly method and another broad family under which several related metal fabricating processes may be categorized. Welding joins materials via fusion, which occurs after the metal is heated and, likely, pressured to the point of melting. Welding processes can derive their heat from a wide variety of sources. Some of these sources include friction, ultrasound, gas flames, electron beams, electric arcs, and lasers. Along with different heat options, there are many different types of welding, such as shielded metal arc welding (SMAW), flux-cored arc welding (FCAW), submerged arc welding (SAW), electroslag welding (ESW), electric resistance welding (ERW), Oxy Acetylene Welding (OAW), and gas metal arc welding (GMAW). (The last category can be further divided into metal inert gas [MIG] welding and metal active gas [MAG] welding.) The most popular type of welding in the metal fabrication industry today is gas tungsten arc welding (GTAW) or tungsten inert gas (TIG) welding, due to its level of precision. Welding is such a popular practice that engineers have developed welding processes that can be performed under water and in outer space. In addition to the marine and aerospace industries, welding is essential to the automotive industry, industrial manufacturing, the maintenance of power plants, and much, much more. The finishing stage of metal fabrication simply refers to final processes of fortifying or beautifying metal product surfaces through a variety of methods. Generally, metal products are disinfected using organic solvents like acetone or alkaline solutions. They often receive coatings (e.g. of paint or powder) to enhance various properties, such as corrosion resistance or electric conductivity. For every metalworking request, metal fabricators have a method to fulfill it. Via cutting, burning, forming, machining, and welding – and a host of related fabrication services – metal fabrication shops are able to provide customers with a wide variety of both standard and custom fabricated parts. The services offered by metal fabricators are in high demand in many commercial, industrial, and consumer markets. Commercially, fabricated metal parts and products are found as and in furniture, desktop paper trays, shelving, and HVAC components including ductwork and grating. Products like bent metal hoods that provide protection for fluorescent lighting, stamped metal racks, welded staircases, and hand railings are just a few examples of metal fabricated products that are useful in industrial and manufacturing operations. Metal fabrication is also an essential component of automotive manufacturing, where it provides vehicle trim, engine attachments, and more. With regard to residential homes, metal fabricated parts and products are everywhere. They can be found in the form of animal cages, bed frames, scissors, kitchenware, jewelry, among other appliances. Metal fabrication aids the construction industry via the production of heavy machinery components, structural supports, and bridge skeletons. Even technologically advanced industries like aerospace and computing depend on metal fabrication. Plane frames, computer hardware, small electronics, and engraved parts are all products of fabrication services. • Wearing appropriate safety equipment. Examples of such equipment include flame-resistant pants and jackets, heavy aprons, heavy boots, leather working gloves, safety goggles, respiratory masks, etc. • Avoiding unnecessary physical exposure to metal fabrication processes. An example of this includes stopping undesirable habits such as running your hands over cut metal edges (even when gloved). • Maintaining a clean work environment in order to minimize hazardous risks. Seemingly benign workplace conditions such as excessive metal scrap or wet (and slick) metal sheets can pose physical hazards at unexpected moments. • Defining appropriate storage policies. Both manual and automatic metal fabrication tools should be properly and safely stored in defined locations when not in use. • Regularly inspecting metal fabrication equipment. Like most industrial appliances, metal fabrication tools require regular inspection to catch problems early and maximize longevity. • Immediately replacing or upgrading defective metal fabrication tools or parts. This practice becomes especially important with regard to high-quality metal fabrication tools, such as cutting lasers. Using the services of metal fabrication shops is usually a prudent commercial decision. On average, the services metal fabricators offer increases the speed and flexibility of metalworking projects (especially when compared to methods of finishing projects using a plethora of different metallurgical specialists). When searching for a quality fabrication company or shop, some general customer practices apply. Even more so than other sectors of business, manufacturing success depends on reasonable costs, consistent quality, and high speed/volume. Any worthwhile metal fabrication supplier should possess not only the full range of metal fabrication services, but a reputation for these type of qualities. Similarly, a metal fabricator’s emphasis on and track record for excellent customer service is equally important. Since the entire success of a metal fabrication project depends on the quality of initial layouts and designs, it is imperative to work with a metal fabricator who is willing and able to invest expertise and time into getting the initial stages of a project correct. A good metal fabricator will enable you to make choices that maximize the efficiency of the overall fabrication process and meet your specific commercial needs. To give a single example, a quality metal fabricator would be marked by recommendations to avoid welding if it clearly proves unnecessary during the planning stages of a project. While welding is the most common assembly method, riveting or bonding might be more desirable in a given scenario if a customer prioritizes the ease of replacing damaged parts.